I always prefer to use sushi rice with sashimi instead of plain steamed white rice. Sushi rice has a subtle sweet and sour flavor that goes perfect with the fish and brings out its flavor. 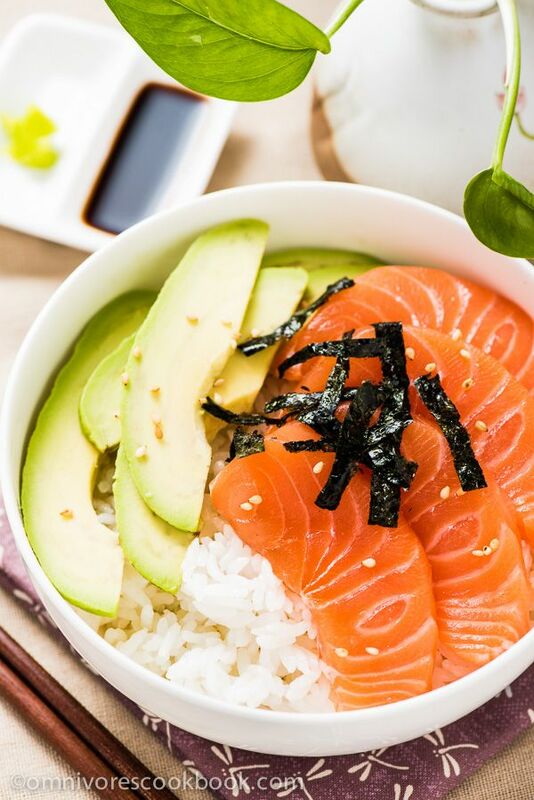 If you like raw fish, definitely try to use sushi rice in your favorite sashimi bowl. It makes a huge difference. By the way, if you need to know how to cook authentic sushi rice, check out this recipe from Just One Cookbook. Nami has a very detailed recipe with an instructional video to show you how to make real-deal sushi rice.